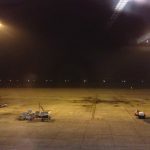 "airport closed due to fog"
✅ Verified Review | Sitting and overlooking the abandoned runway at Carrasco International in Montevideo waiting for the mysterious fog to disappear makes you imagine what the world will be like without people. The airport closed due to fog and to help with the delay there will be a strike in the fog that got few passengers stranded and roaming this modern, but today useless building. However, the lights are glistering bright on the far side of the runway and you can't help think that South American mentality is taken much further in Uruguay than the rest of the continent. I wish I could upload my photo of the massive visible concrete slabs and the runway lights chasing away airplanes completely shying away from their function. I think you can even see the new Peñarol football stadium they recently completed in the distance and luckily it doesn't snow in Uruguay. I have been in this airport many times over the last three years, and it is by far the best airport I have experienced in Latin America. It is clean and new and easy to get through with no long queues, only a little when waiting in immigration after transatlantic flights. Everything is very open and there is many different things to buy in tax-free. If you fly Premium classes and get off the plane first you will be lucky enough not to queue too long with immigration and passport control, which is not too unpleasant. They seem to be friendly. Then directed to customs but through the Duty Free Shop, which is the cheapest in S.A, you can buy up to 500 US dollars of alcohol (bubblies, and wines and beers and 3 liters of white spirits). Customs are nice but tough. Do not change any cash inside the international no zone area, the exchange shop, who are expensive with high commission will give you vile rates. There are cash dispensers outside. Taxi service to town at one price only but expensive though. Do not take any taxi just airport ones that are of a beige colour. Check in facilites are good. Very few international airlines fly to Montevideo. Security is vile and long queues done by a division of the air forces, who are rude and not at all polite. Immigration on you way out are rude and unfriendly. Then again lounges after security and after Duty free (yet again convenient prices) you will find the lounge, just the one, for all F and C classes) ok though. Lovely little airport. Very new very clean lots of natural light. Easy and fast arrivals process. Departure area spacious. Flew in and out of here on flights to and from Sao Paulo. A striking modern terminal with reasonable facilities. Very pleasant. Brilliant Airport - new clean clear spacious! Shame so few airlines do fly into MVD. Spacious clean well located well serviced bright naturally illuminated airport. Large halls with folk articles shops and chemist money exchange bureau and wrapping baggage service. A breeze! Fine areas for check in and spotless lavatories. Once checked in fast track to security and immigrations available. Smiley faces all over the airport. Excellent Duty free shop! Very good VIP lounge. Landing in Carrasco is a nice experience if the plane approaches the tarmac overflying the nice beaches and architecture. Immigration did not take more than a few minutes and luggage was efficiently delivered - it is necessary to go through a duty-free in order to reach the hall where the conveyors are placed. After customs the main lobby is very illuminated with natural light and spotlessly clean. Taxis are abundant and comfortable and the airport is located about 30 minutes from downtown. However some of the car-hiring companies are not located in the terminal but there is an efficient shuttle service to their offices. Brilliant new terminal. Clean easy access very near city centre excellent transport services to and from airport. Good parking lot. Forget all remote doors that is part of the past! Eating drinking and shopping - before customs and security - are good and not too expensive. Tax frees shop better on arrival than departure. Both arrivals and departures are a breeze longer queues during the big holiday periods. 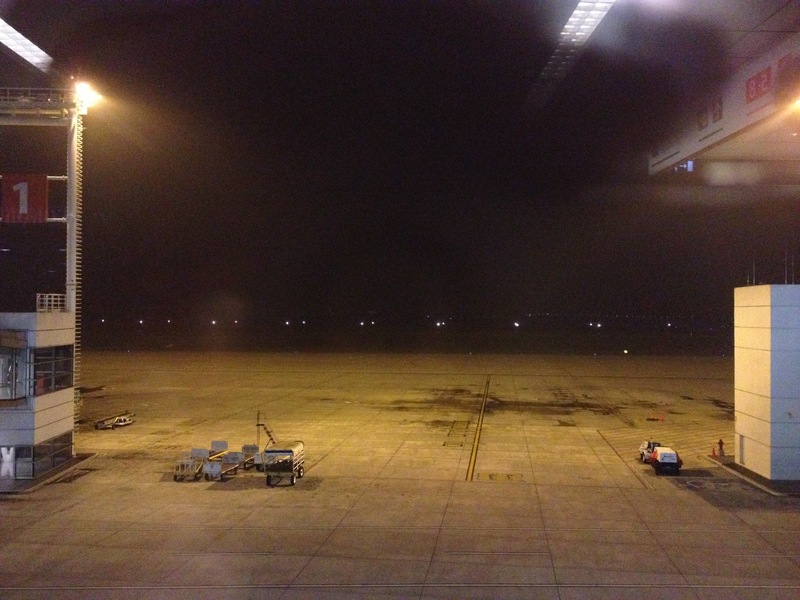 This airport is new breathtakingly beautiful spotless clean and efficient. Eatery selection is a bit limited but I was in the business class lounge so there was no suffering.